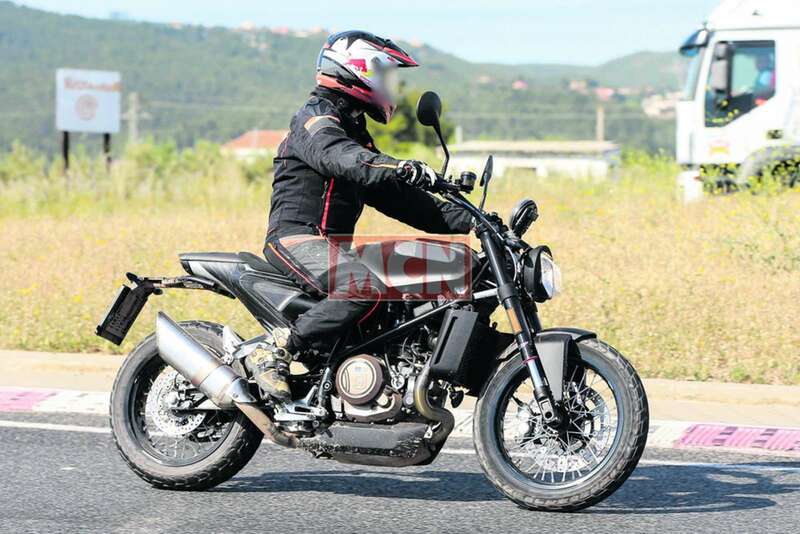 The 2018 Husqvarna Svartpilen 701 And Vitpilen 701 are currently undergoing pre-production test runs and two test mules of the upcoming motorcycles were recently captured through the lens somewhere in Europe. The test mules, excluding a few rough bits, appear to have almost reached production ready stage. The motorcycles made their debut in concept form at the 2015 EICMA show and we may see the production spec models by the end of 2017, most likely at this year’s iteration of the motorcycle show in Milan. Both the motorcycles will be based on KTM’s 690 Duke roadster. So you can see the KTM’s trellis frame, engine, alloy swing-arm, and upside-down WP fork. The Vitpilen will be a cafe racer while the Svartpilen will have a scrambler persona. 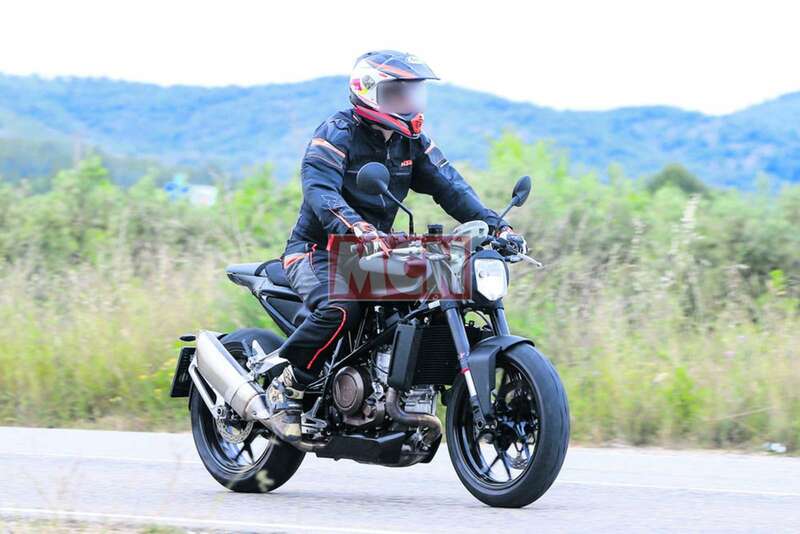 Both motorcycles will use the single-cylinder engine from the KTM too although the state of tune might be different than the Austrian roadster. The motorcycles are inching closer to production as you read this article. The engine can be seen with the Husqvarna’s “H” logo on the casing and that exhaust looks perfect to go on a production ready motorcycle. However, unlike the concept, the test mule still didn’t feature the spherical headlight. The Vitpilen comes with alloy wheels wrapped in road spec Metzeler tyres while the Svartpilen, with its scrambler focus character, gets wire-spoke wheels with knobby set of rubber. As aforementioned, the motorcycle are nearing production phase and we may see the final products, along with their smaller, 401 siblings by the end of the year, most likely at the 2017 EICMA show.